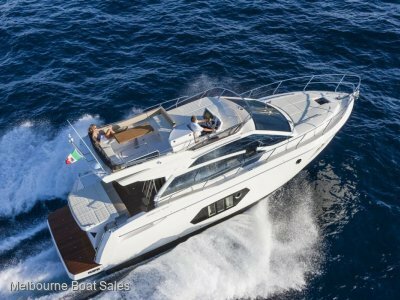 He Absolute 45 Fly is the biggest seller throughout the flybridge range due to the perfect balance between space and comfort, style and performance with an attractive price tag. 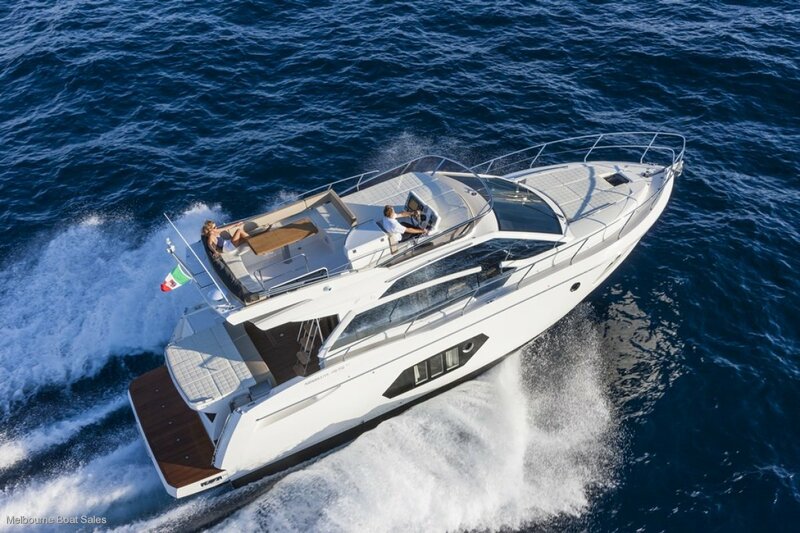 Jumping aboard, you will appreciate the spacious and light-filled cockpit with the aft sunpad fittedwith adjustable headrests to entertain 3 guests in comfort. The elegance of the living area is enhanced by the sliding glass door that leads to the accommodation. Large windows ensure a light and airy feel to the interior of the boat that gives you a feeling of being close to the water. The large sofa converts into a comfortable bed that is perfectly positioned to take advantage of the cabinet housing a retractable television. At the helm, Absolute adopts the latest options in technology to ensure ease of use for the Captain. To the left of the helm, a practical galley offers all mod-cons to allow for preparation without feeling confined. Below deck, there are 3 cabins and 2 toilets with separate showers. Located in the bow, the master suite is fitted with its own private toilet and shower. The 2 aft cabins are broad as they are high. One cabin is fitted with 2 single beds, whilst the other is fitted with a wide double bed. 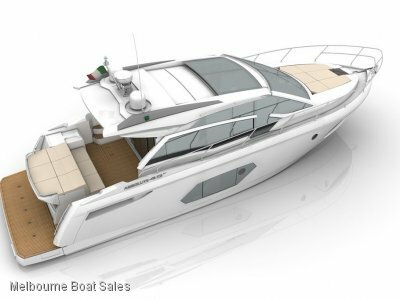 Absolute appoints state of the art technology and builds their hulls specifically for Volvo IPS Systems. 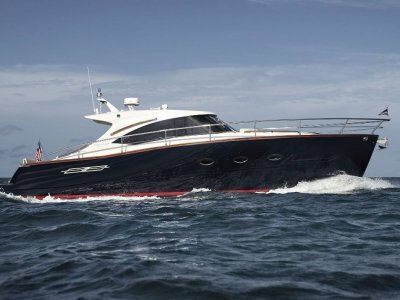 The 45 Fly is fitted with 2 Volvo Penta IPS or IPS 600 engines. Absolute positions its 45 Fly as a "small megayacht, " thus defining her mission. What this means is that the boat must have downright impressive accommodations and amenities for her size. To that end, she has a full-beam en suite master stateroom, ample seating in the salon, and copious seating on the flying bridge. 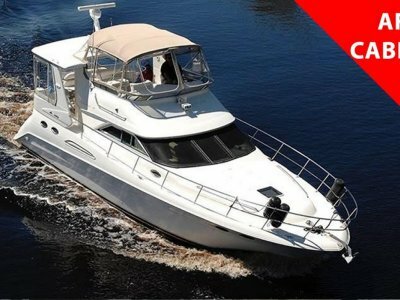 What's more, she is powered by twin Volvo Penta IPS drives with a joystick, something that most megayachts don't have.